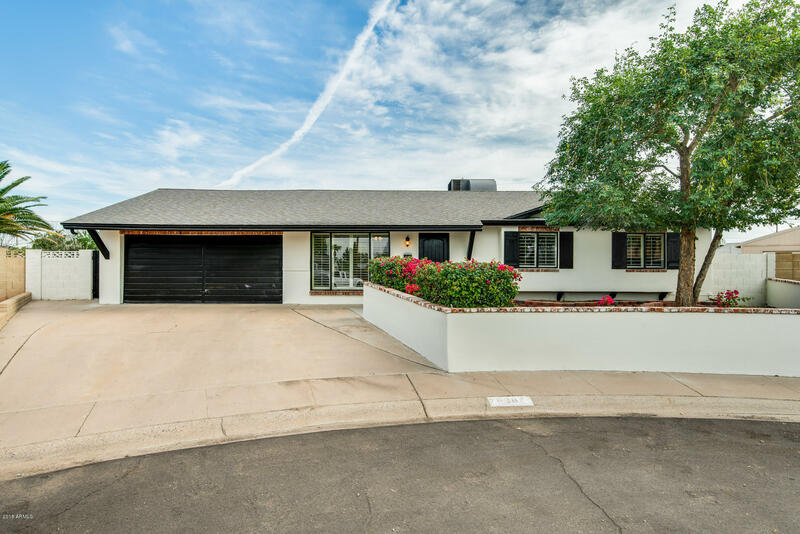 All COX HEIGHTS 4 AMD homes currently listed for sale in Scottsdale as of 04/25/2019 are shown below. You can change the search criteria at any time by pressing the 'Change Search' button below. "Location, Location, Location! This charming 3 bed, 3 bath home, plus den/office is nestled in a quiet cul-de-sac neighborhood. New paint inside and outside, all new floors in laundry room, new awning over back patio doors, custom plantation shutters, plus so much more. Huge laundry area with washer and dryer included. The backyard has two covered patios that are great for entertaining. Home sits on one of the largest lots in the neighborhood. RV Gate and slab concrete parking perfect for "